Android based tablets are becoming very powerful with the pass of every day and there are plenty of tablets running on Android OS. All the leading tablet and mobile manufacturers are coming up with their latest Android tablets equipped with some very nice and eye catching features. People generally prefer to Tablet housing decent and nice configuration in a budget price, so that they can have fun of using big screen device. There are very few tablets that have SIM– calling capability, generally tablets does not feature calling facility but now manufacturers are gradually changing the trend and some of the manufacturer are launching their tablet with calling facility. 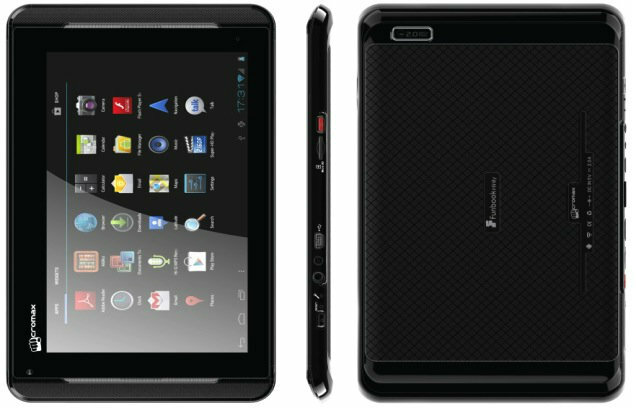 In this article we are going to review Top 5 best Android based tablet with calling facility. 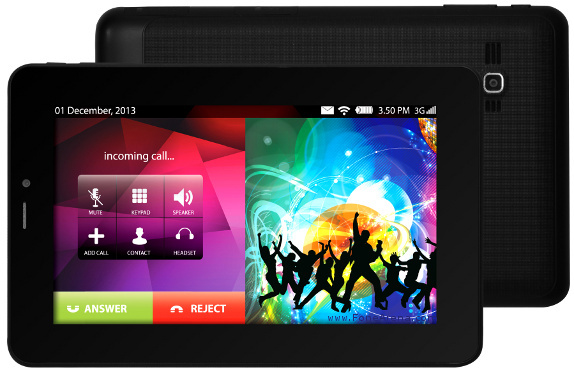 Ambrane Calling King AC-7 2G Calling Tablet is one of the best tablet you can have with calling facility. Ambrane Calling King AC-7 houses a nice 7 inch Capacitive Touchscreen with resolution 800 x 480 pixels with 2G and 3G network facility with voice calling. 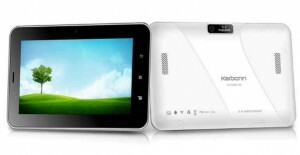 Calling King AC-7 2G Calling Tablet runs on Android 4.0.4 (Ice Cream Sandwich) with G Sensor and is powered by a 1.2 GHz Cortex A8 processor. Calling King AC-7 2G Calling sports 512 MB DDR3 RAM with 4GB internal memory with 32GB expandable memory via microSD card and has its connectivity via Wi-Fi, 3G and GPRS. Ambrane has installed a 2 megapixels rear camera along with 1.3 megapixels front facing camera for video calling and is fueled by a 4000 mAh battery. 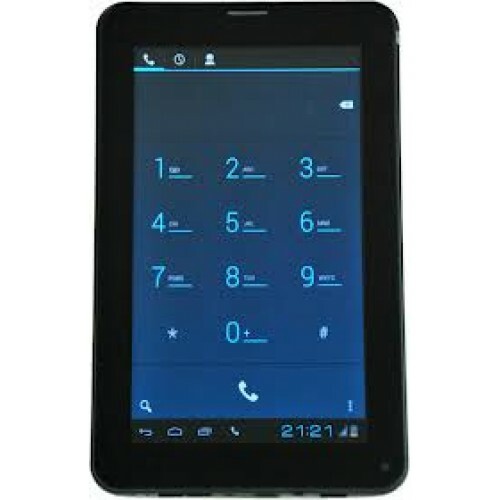 Ambrane Calling King AC-7 2G Calling Tablet is available in a budget price of Rs. 6250. 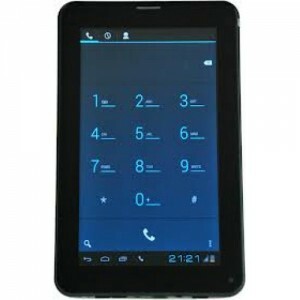 7 inch Capacitive Touchscreen with resolution 800 x 480 pixels. 2G and 3G network facility with voice calling. Android 4.0.4 (Ice Cream Sandwich) with G Sensor. connectivity via Wi-Fi, 3G and GPRS. Budget price of Rs. 6250. Powered by a 512 MB RAM which is not god enough. No option of Bluetooth connectivity. Byond Mi-book Mi5 Tablet runs on the latest Android Version Ice Cream Sandwich OS and is powered by 1.2 GHz of Cortex A8 processor. The most amazing feature of the tablet is its calling facility through 2G voice calling and has a VGA front facing camera. Mi-book Mi5 has equipped its tablet with 7 inches of capacitive multi touch display with a resolution of 800 X 480 pixels. Mi-Book Mi5 is fueled with a 3000 mAh superb battery. Byond Mi-Book Mi5 has 8 GB internal memory, 32GB expandable memory and 512 MB RAM and has its connectivity via Wi-Fi, Bluetooth USB OTG, HDMI, 3G via Dongle. 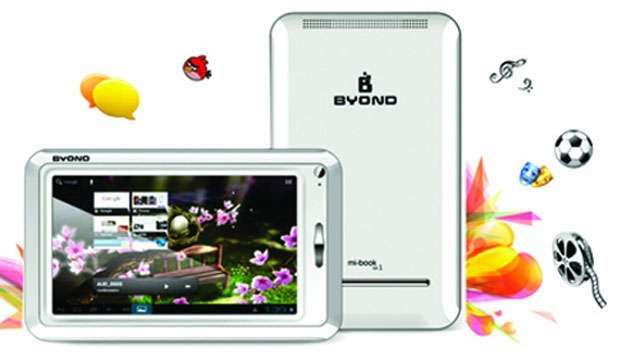 Byond Tech Mi-Book Mi5 is available in a budgetary price of Rs. 7299. 1.2 GHz of Cortex A8 processor. Android Version Ice Cream Sandwich OS. calling facility through 2G voice calling. 7 inches of capacitive multi touch display with a resolution of 800 X 480 pixels. connectivity via Wi-Fi, Bluetooth USB OTG, HDMI, 3G via Dongle. Cheap price of Rs. 7299. Lava E-Tab Connect is a nice tablet equipped with a display of 7-inch capacitive touch screen display with a resolution of 800 × 480 pixels. Lava has installed a 2MP rear camera with 0.3 mp front camera for video calling. E-Tab Connect measures a body dimension of 10 mm thick and weighs 350 grams with Gravity Sensor. Lava E-Tab Connect runs on Android 4.0 Ice Cream Sandwich powered by a 1.2 GHz Qualcomm Snapdragon MSM7227A ARM Cortex A5 processor. 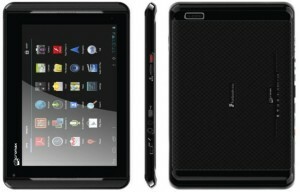 E-Tab Connect has its connectivity via 3G and voice calling via SIM card slot, Wi-Fi 802.11 b/g, Bluetooth 3.0, GPS. Lava E-Tab has 4GB internal memory 32GB expandable memory with microSD and is supported 512MB RAM. Lava E-Tab Connect is fueled by 3000 mAh battery and is available at a price of Rs. 9499. 7-inch capacitive touch screen display with a resolution of 800 × 480 pixels. runs on Android 4.0 Ice Cream Sandwich OS. 1.2 GHz Qualcomm Snapdragon MSM7227A ARM Cortex A5 processor. connectivity via 3G and voice calling via SIM card slot, Wi-Fi 802.11 b/g, Bluetooth 3.0, GPS. Budget Price of Rs. 9499. Average 2MP rear camera with 0.3 mp front camera for video calling. Karbonn TA-FONE A34 has recently gone on sale online, it is a nice tablet equipped with some really amazing and eye catching features. Karbonn TA-FONE is powered by a 1 GHz cortex A9 processor with Dual SIM (GSM + GSM) calling capability. TA-FONE A34 will be running on Android 4.0 (Ice Cream Sandwich) OS and will have 4GB internal memory up to 32 GB expandable memory along with 512 MB RAM. Karbonn has installed a 2MP rear camera with 0.3 MP (VGA) front-facing camera for video chatting purpose along with 3.5mm audio jack and has its connectivity via 2G EDGE (via SIM card slots), WiFi 802.11 b/g/n, Bluetooth. Karbonn TA-FONE A34 is fuelled by a 3000 mAh battery and is priced at Rs. 7,290.
powered by a 1 GHz cortex A9 processor. Dual SIM (GSM + GSM) calling capability. connectivity via 2G EDGE (via SIM card slots), WiFi 802.11 b/g/n, Bluetooth. Affordable price of Rs. 7,290. 2MP rear camera with 0.3 mp front camera for video calling which is not up to the mark. Micromax an Indian mobile and tablet manufacturer has launched a nice tablet in its Funbook series named Funbook Talk P350 a budget tablet with calling facility. Micromax Funbook Talk P350 is powered by a 1GHz processor with 512MB RAM and houses 4 GB internal memory with up to 32GB expandable memory. Funbook Talk P350 tablet houses 7 inch Capacitive Multitouch display running on Android 4.0.3 Ice-cream sandwich OS. Micromax has installed a 0.3 MP Front Camera and the tablet is fueled by a 2800mAH battery. Funbook Talk P350 has SIM calling facility along with connectivity via Wi-Fi, HDMI and 3G via dongle. Micromax Funbook Talk P350 is available in an budget price of Rs 7450. 7 inch Capacitive Multitouch display. Android 4.0.3 Ice-cream sandwich OS. powered by a 1GHz processor. SIM calling facility along with connectivity via Wi-Fi, HDMI and 3G via dongle. Low price of Rs 7450.
very poor 0.3 mp front camera for video calling. Powered by a poor 512MB RAM.